Everyone knows how I am truly, madly, deeply in love with Manila's night life and fast pace. However, there are some days when I crave for peace, serenity, and a breath of fresh air. We all do, right? I found out that there's a place not too far from Quezon city where I can actually get this earthy experience. 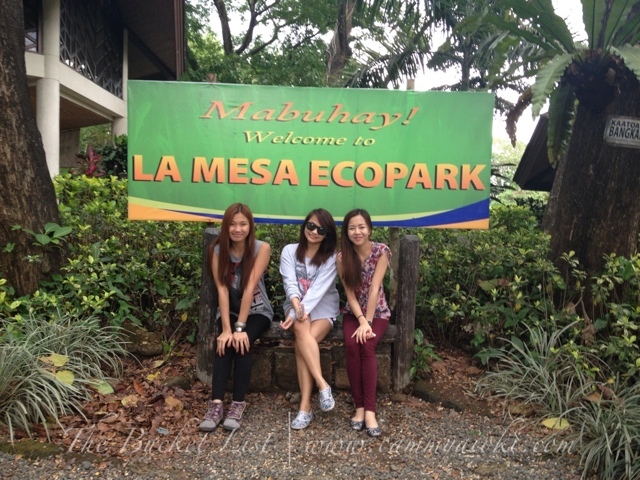 I discovered a place called La Mesa EcoPark. We have something new in store for you! Presenting the Triple Threat team for PB's newest collection. Featuring Sarah Tintiangko as our model, Asia Coronel for Hair and Make up, and Isai Martinez for Photography.